The weather hasn't been super great here lately, so I'm sorry that I haven't had many outfit posts lately! I have several holiday looks I want to get posted next week, but we shall see if I can shoot them. This outfit is an easy go-to for me. 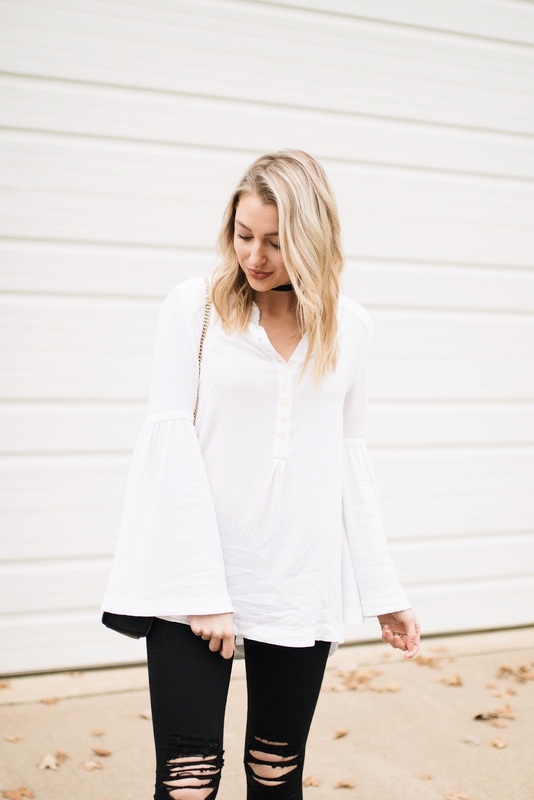 I love that this top is comfortable and fairly simple, but that the bell sleeves make it unique and interesting! Be sure to check back tomorrow... 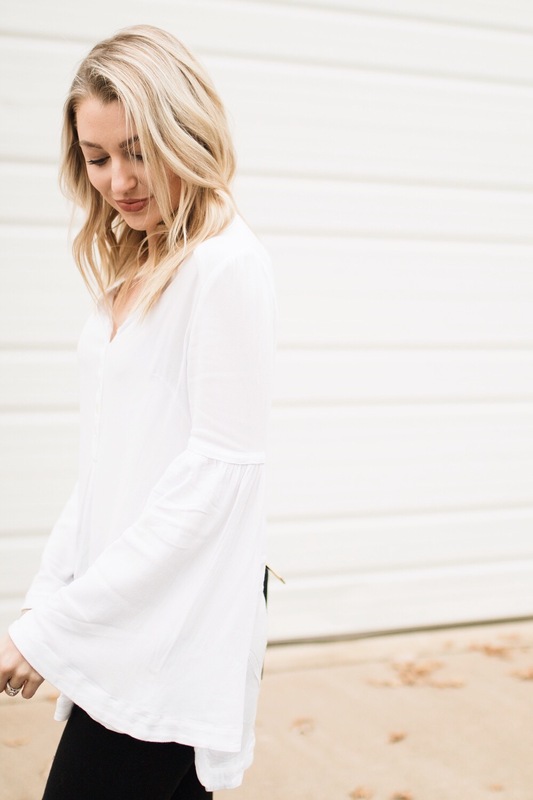 I'll be sharing my holiday home decor, and will have an amazing giveaway for you girls!